You know those days where you are having so much fun and you completely lose track of time? And you are so happy in the present moment and forget all worries, to-do's, and other distracting whatnots? Today was one of those beautiful days. 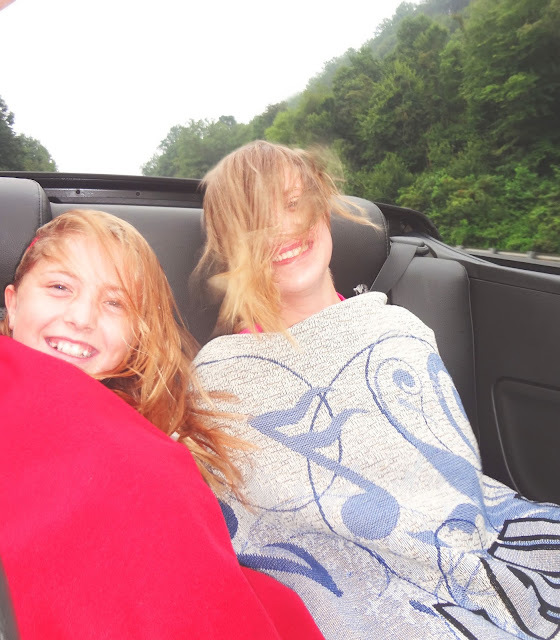 We woke up at the wee hour of 6AM, grabbed egg and cheese biscuits, and headed off to the Nantahala River in North Carolina. 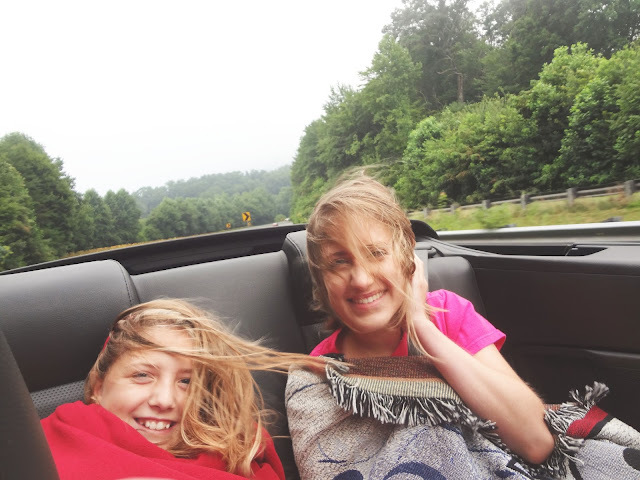 It was about a 2 hour drive for us, so my cousin Gracey and I spent our time curled up in blankets as we drove through the cold, foggy mountains with the top down. 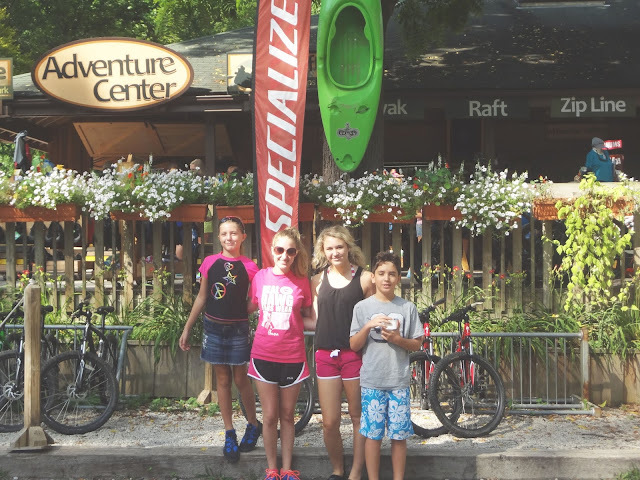 As soon as we arrived, we signed our safety waivers and met our 10:30AM rafting group and guides. 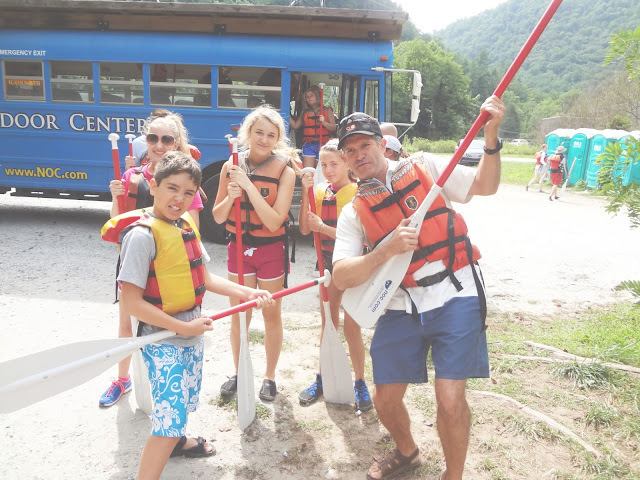 There were seven of us, so we chose to provide our own guide, (Uncle Will...aka Captain Will per his request) since there are a limited number of professional guides for each rafting group. We decided that this was a great decision because it not only made the trip more exciting, (aka Captain Will taking an accidental leap out the boat...oopsies) but we were able to coach ourselves by not being solely dependent on our guide. Then we were off! We hopped onto the bus which drove us 8 miles to the top. This is where we heard some awesome cheesy raft guide jokes. (What's the difference between a raft guide and a pizza?...only one can feed a family. And: what is the quickest way to clear out a room of raft guides?...throw in a bar of soap.) Hahahaha. And then before we knew it, we were at the top and it was time for us to push our boats into the river. Cool fact: the part of the boat that you sit on during the trip is called the donut. 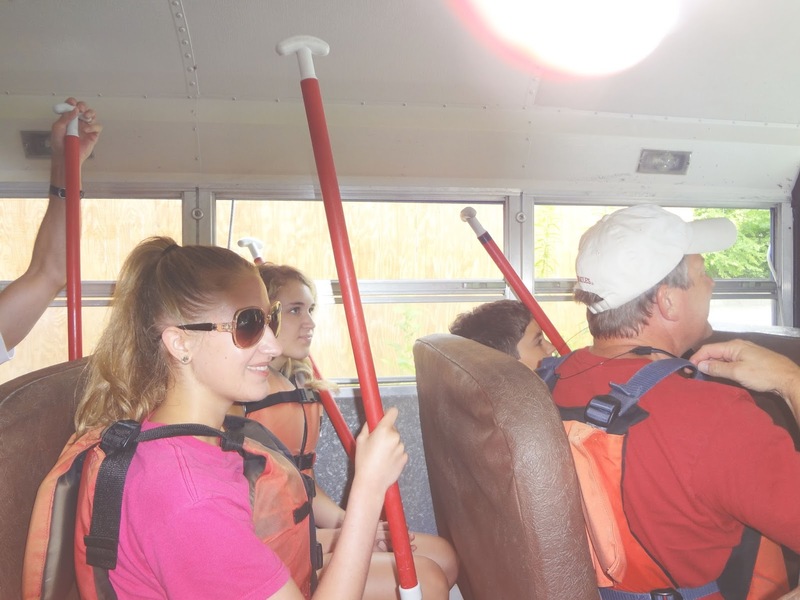 As soon as I found this out, I just knew I was going to like this white water rafting trip. 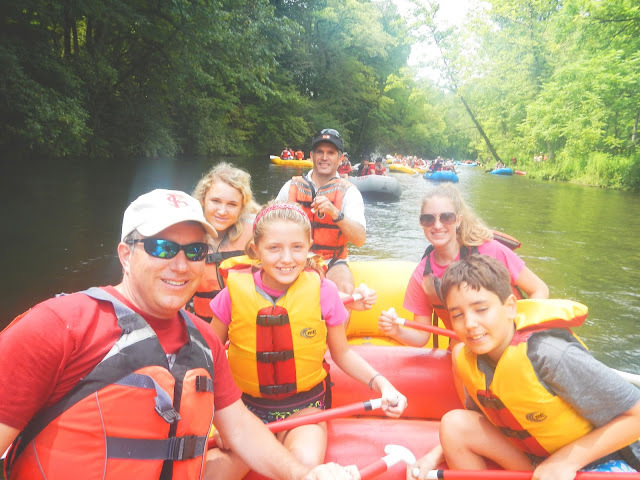 We were on the water for about 2 hours paddling, rowing, and holding on for dear life.The rapids ranged from level 2 to level 3 which is pretty mild. If you are looking for a tougher course, there were level 3, 4, and 5 options. We decided to stick with the 2's and 3's because it was our first time. Next time, we may go for the big ones. After the trip, we were pretty famished and we picked up some barbecue sandwiches, ribs, mac and cheese, and cornbread at an eatery right outside of the Adventure Center. Overall, it was an excellent day spent with family. I am so thankful for these wonderful memories and timeless days I will remember forever. I am looking forward to our next trip that's for sure! How fun! Glad you had a great time with your family. I never knew the seat was called a donut either!